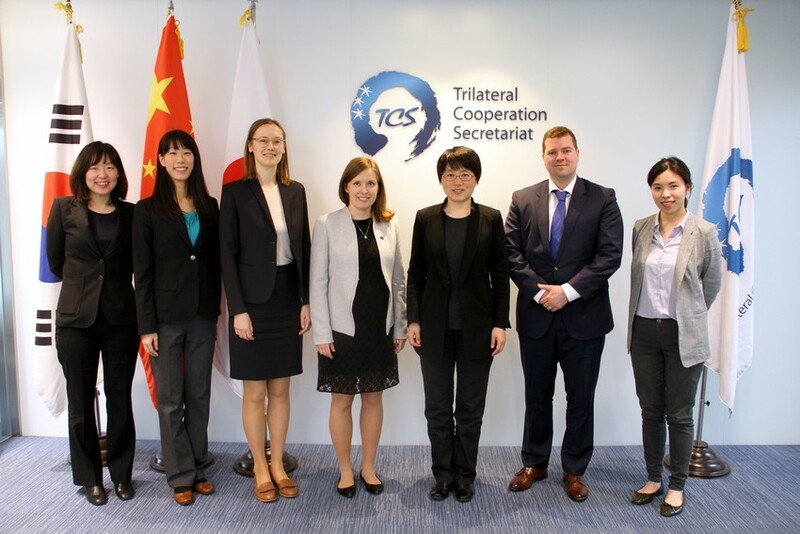 ​Representatives of Finnish embassies to China, Japan and Korea, headed by Ms. Anna Vitie, Counselor, Team Leader, Economic and Trade Policy, Embassy of Finland in Beijing visited TCS on 4 April 2019. Ms. QIAO Wen, Director of Economic Affairs met the delegation. Both parties discussed recent trends and progress of trilateral economic cooperation, and potential cooperative projects between TCS and the Finnish Embassies. The delegation introduced economic ties of CJK and Finland, and highlighted that active and growing cooperation is ongoing between these countries. TCS introduced the organization and the department’s functional areas as well as its programmes, and exchanged views on how economic cooperation can be strengthened, drawing examples from regional experiences of economic integration including EU. 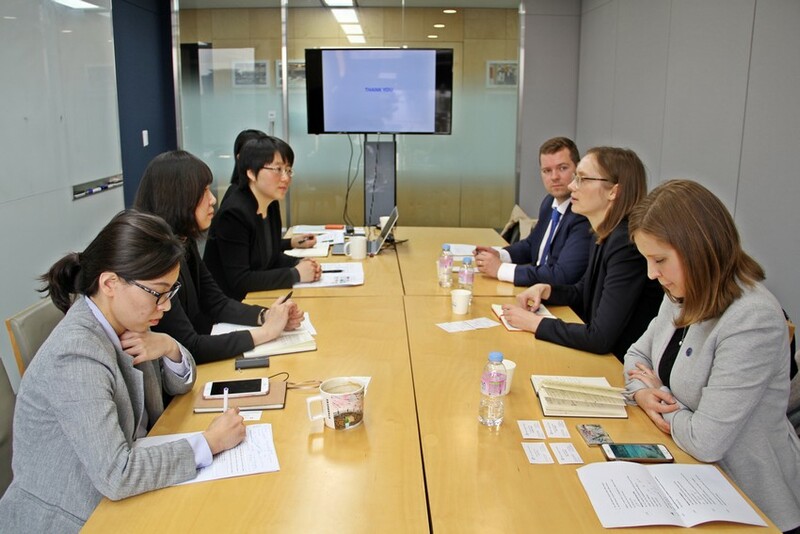 The meeting highlighted that there are many common agendas between Finland, China, Japan and Korea, such as addressing challenges of ageing society and sustainable development. On these potential cooperative areas, both parties agreed to closely communicate and increase mutual learning opportunities. As part of its effort to fulfil its mandates, TCS continuously strengthens relations with diplomatic missions from various countries, other international bodies and regional organisations.